© Muhammad Rahman. All rights reserved. 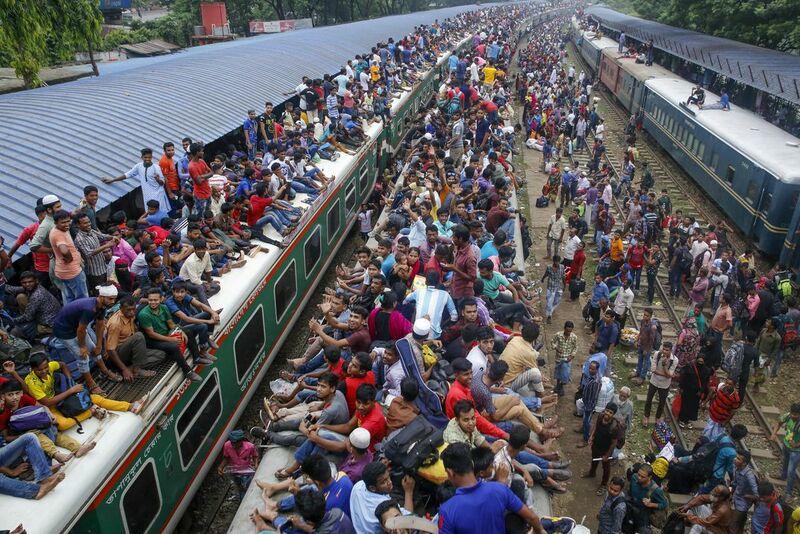 Bangladeshi people ride on the train roof to reach their village home ahead of the Eid-ul-Fitr festivals. Date Uploaded: Nov. 30, 2018, 1:22 p.m.